Sumptuous satin silk kimono fired up in a sizzling design of green and berry border motifs on a ground porcelain white. 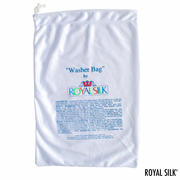 Creamy satin silk that feels softer than baby skin. Two large front pockets to nestle your hands. One size fits all (34” to 48”). Length is 33”. 100% Silk. Hand wash or dry clean. 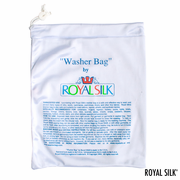 Can be machine-washed with our Washer Bag for silks (purchased separately). Imported.